There are 134 districts, 2,170 public schools, and 4 charter schools in Virginia serving 1,257,883 students. 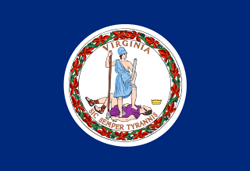 Financially the state of Virginia spends approximately $11,542 per student. There are 90,832 full-time teachers receiving a total of $5,573,463,752 in salaries and $1,732,130,212 in total benefits. 396,504 students receive a free lunch and 84,317 receive a reduced-price lunch.